Keyboards are distinguished by the number of keys, the key size and spacing, the ergonomic design and last by the technology used for the keys. The number of keys can vary from the standard keyboard with 104 keys, the laptop sized where the keys are significantly fewer to reduce the size, and those of special design which include handheld and thumb keyboards. The key sizes can also be large as in standard keyboards, medium as in laptop and chiclet keyboards and small as in thumb keyboards. The keyboards can be ergonomically designed having a wave or a natural shape which affects hand placement on the keyboard. Finally, the most important characteristic of all is as one may imagine the technology used. Regarding the technology used there are two kinds of keyboards, mechanical keyboards and membrane keyboards. Mechanical keyboards have a mechanical switch for each key and membrane keyboards have thin membranes with contacts and use a silicon pad with cones, each cone used for a single key. The keystroke is registered when the pressed key collapses the relevant cone making it touch the contact layers. The membrane keyboards are a lot cheaper and more appropriate for harsh conditions if they are properly designed. The mechanical keyboards are not new. In fact, they are the first keyboards ever made. As mentioned above, they have a switch for each key. Each switch uses a spring system that gives a tactile feel and a characteristic sound. Such keyboards were used from the early computer years on PCs and Macs alike. Since then the mechanical keyboard technology has taken huge steps forward. New types of switches have appeared each with different required force pressure giving a personalised feeling to your main work tool. The membrane keyboards are the ones you will find in almost every PC out there. If you have used a Microsoft keyboard before it surely was a membrane one. They have a less tactile, a mushy to be accurate, feel and they make very little noise. Computer membrane keyboards must not be confused with membrane keyboards found on appliances or industrial equipment. These membrane keyboards are made to have a very low profile and/or astonishing durability, but they are not meant for heavy typing. If you work in front of a computer for many hours on a daily basis you have surely heard about carpal tunnel syndrome and neck pains. Of course, we all know that keeping a proper stance is very important. What some of us don’t know is that the interface peripherals are also important. 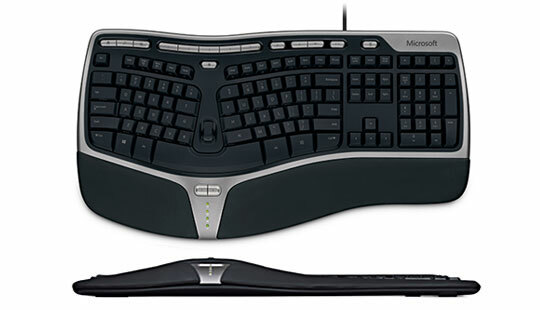 There are various ergonomic keyboards such as curved or natural keyboards that mostly use membrane technology. These keyboards have a somewhat steep learning curve since hand positioning is different and are not favored by all. In fact, I personally have tried working with various types of keyboards, and since you can’t easily teach an old dog new tricks, I don’t feel comfortable using one of the natural ones. This is where mechanical keyboards are handy. Mechanical keyboards have a tactile feel, that along with the clicking sound makes it easier to understand when a key is pressed. In fact, studies have shown that mechanical keyboards make you apply less pressure to the keys. Less pressure means less strain to the muscles, therefore, making them a healthier choice without changing the layout. The biggest benefit of all is that by giving more feedback to the typist they eventually make you more productive. The sound and the tactile feel give you a hint about the number of keys pressed and when a key was actually pressed or not and reduce the number of mistakes. 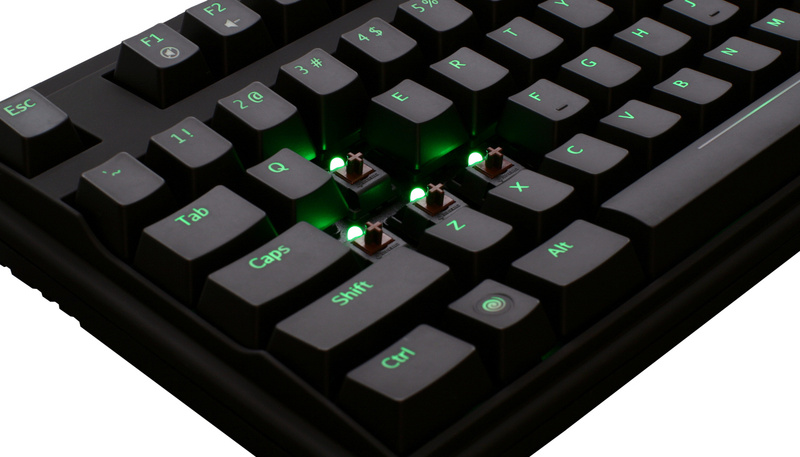 The best ergonomic keyboards out there are the natural ones that have mechanical switches. They are the most expensive of all as their cost is twice the price of a mechanical one and about 4 times the price of a membrane one. Even though the cost for acquiring one might be high, you actually get the best of both worlds. 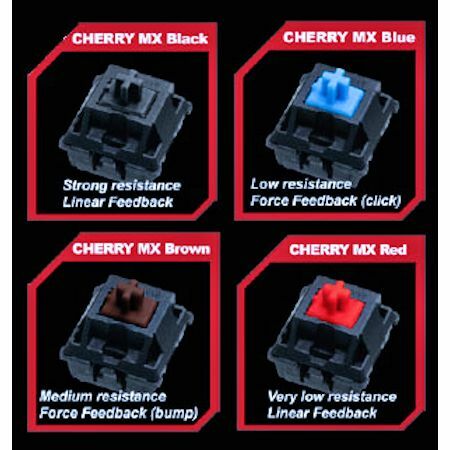 The most common switch found in the market is the Red Cheery MX which is in more than half of the keyboards out there. Typists tend to choose the Cherry MX Blue, Cherry MX Brown and the IBM buckling spring switches. The first two are very common and can be found in the keyboards of many manufacturers. The IBM buckling spring switches are not that common as IBM doesn’t make keyboards with these switches anymore. There is still a company out there producing keyboards with these switches called Unicomp but their availability in stores is rare. What you should keep in mind is that choosing a type of switch for your keyboard is beyond any advice. You have to try as many as you can and choose what feels best. It’s not surprising that one can be confused when it comes to getting a new keyboard. There are actually too many options; choosing a type of keyboard is just the beginning. You then have to choose between different additional features and other factors such as quality, service, etc. But then again, actually choosing a specific keyboard is another subject. What we can definitely say is that although the mechanical keyboards are considered better for typing by most, it always comes to one’s personal preference. If you feel more comfortable with a natural or curved keyboard then go for it, but unless you have tried a mechanical keyboard before, you must definitely try one. In case you have the money to spend, you can always go for a natural mechanical keyboard even though they tend to be more expensive. What kind of keyboard do you use? Do you have any questions about keyboards? Do you want to share a personal experience regarding keyboards? Feel free to comment below.